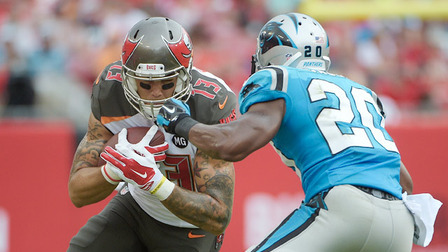 Week 5 of the season takes the Bucs to Carolina to face the Panthers in their only Monday night football game of the year. If there is one team in the NFL that has failed to meet fan’s expectations more than any other, it would have to be the Carolina Panthers. The almighty NFC south team that lost only one regular season game last year and went to the Super Bowl are now sitting in 3rd place behind the Bucs at 1-3 due to losing a divisional game. Cam has been banged around all season so far and they’re not sure if he’ll be able to pass the concussion protocols and be ready for Monday night. If he does play, however, his stats haven’t been spectacular so far. 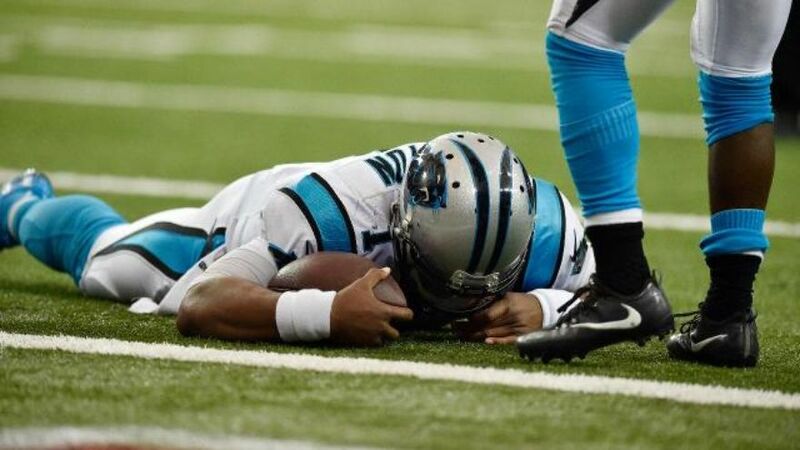 Cam Newton has thrown for 974 yards with 6 touchdowns and 5 interceptions. With a completion percentage of 57.9, that leaves him with a passer rating of 80.2. The Panthers offense is ranked 4th in total offensive yards with 386.5 and the defense is ranked 12th with 347.8 YPG allowed. The Bucs are certainly in no better position as far as meeting fan’s expectations. The team has been beaten into submission with key injuries on both sides of the ball. The offense is stalling every other game and the defense….the defense would have been pretty much as effective if they hadn’t suited up at all the last 3 weeks. The Bucs offense is ranked just 22nd in the league in total offense, with 341.0 YPG and the defense is ranked 15th with 354.2. 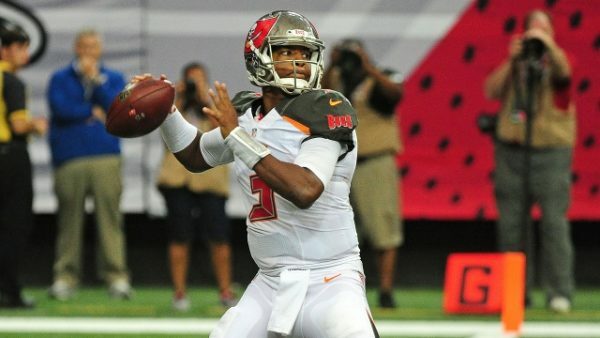 Jameis Winston has thrown for 1,108 yards and 8 touchdowns but unfortunately he’s thrown for 8 picks as well. The high number of interceptions mixed with a 58.2 completion percentage leaves him with just a 72.9 passer rating after 4 games. Both teams are struggling pretty badly through the first four weeks of the season. So I suppose the question is, which of these two underperforming teams are going to decide that they want the win more this week? Bucs and Jags: Two teams on the cusp of a turnaround? The Most Unprofessional MVP in NFL history? The best quarterbacks are in the NFC SOUTH?